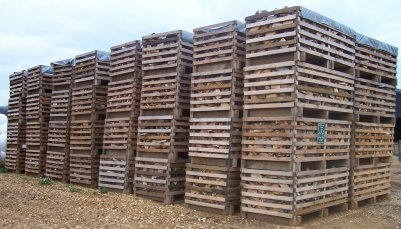 Blaze Dry Firewood is located near to Beaconsfield in Buckinghamshire. 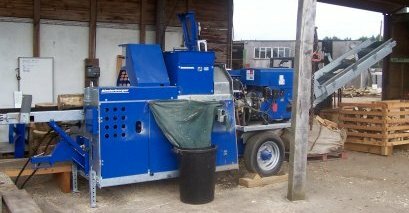 We produce hardwood logs and kindling using the latest modern machinery. All the timber we use comes from managed woodlands and has been split and seasoned for at least one year prior to delivery to ensure a constant quality product. We supply both bagged and loose loads. With the aid of our Firewood Processing machine, this year we have produced over 600 tons of prime seasoned logs, which are now ready for delivery. 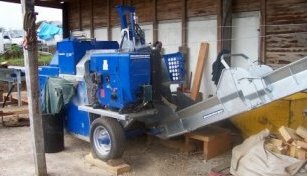 Our latest acquisition is a Binderberger Automatic Firewood Processor. This is a specialist machine that converts tree trunks to logs at the flick of a switch! It was made in Austria to our own specifications and is only the second machine of its type in the UK. As our logs are now cut and split in one process, they are left to season in specially made slatted wooden crates. The airflow through the crates along with the increased surface area of the split logs enhances the seasoning process. We believe that by continued investment and evolution of our processes, we are able to supply you the customer with a quality product that you will be satisfied with.